Overview: In 1989, Riederer and others demonstrated that dopamine-producing neurons in the basal ganglia region of the brain were susceptible to oxidative damage (all references will be cited collectively at the end of this blog post). Notably, they found in the mid-brain regions of advanced Parkinson’s increased levels of iron and the iron-binding protein ferritin and decreased levels of glutathione (GSH). They postulated that these changes over time could contribute to the development of Parkinson’s. There has been much interest in trying to ‘add back’ or synthesize additional GSH in the substantia nigra and the surrounding regions of the basal ganglia. This blog post describes the use of milk whey protein isolates (or supplements) to provide the building blocks of GSH to potentially increase the level of GSH systemically and especially in the brain. But first, let’s revisit GSH and it’s overall importance. Biochemistry of Glutathione (GSH): Glutathione is the master intracellular antioxidant. GSH works by blocking damage to critical cellular components caused by reactive oxygen species (ROS). The usual ROS culprits are free radicals, peroxides, and heavy metals. And the basal ganglia is susceptible to ROS damage due to its high lipid and oxygen consumption, large amounts of iron and copper, and hydrogen peroxide production. Thus, one can imagine the “perfect storm” scenario that could support the genesis of Parkinson’s (death of dopamine-producing neurons) with reduced amounts of GSH available to the basal ganglia. Schulz et al. in 2000 published a review of GSH in neurodegenerative disorders. They highlight the difficulty in replacing the depleted GSH in the brain; especially since it was thought that GSH could not cross the blood-brain barrier and that neurons could not easily take up extracellular GSH. Thus, my training in biological chemistry gives me the following opinions about using or replacing GSH in treating Parkinson’s. (i) It’s going to be difficult just to add back pure GSH to the body (short half-life of active substance, not easily allowed through the blood-brain barrier and difficulty regaining entry to the neuron). (ii) Using the building blocks or components of GSH might provide a more convenient avenue of entry into the brain and target cells to re-synthesize GSH [consider substances like N-acetyl-cysteine (NAC), S-acetyl-GSH, or other GSH precursors, analogs or mimics]. (iii) It might take ‘cloaking or masking’ the elements/components of GSH to get them back into the cell and brain. And (iv) I am a big fan of finding a convenient and affordable treatment strategy to replace GSH in our brains (much prefer the oral route or even nasal inhalation over venous injection and the costs of product etc. is important too). However, I definitely acknowledge the difficulty in the poor bioavailability of GSH, and it’s components for getting them from the gut to the brain. None of the four points above is a home run waiting to happen, they each present a considerable challenge. Finally, what will be the benefit of the GSH or precursor once it reaches the appropriate destination? Not a trivial pursuit. Building Blocks to GSH: In previous reports here [The Yack on NAC (N-Acetyl-Cysteine) and Parkinson’s] and in the Science of Parkinson’s [Glutathione – Getting the k’NAC’k of Parkinson’s disease], an overview of GSH and its components were described for use in treating Parkinson’s. GSH is a 3-amino acid substance (tripeptide) composed of Cys linked to glutamate (Glu) and followed by glycine (Gly). Importantly, Cys is the rate limiting reactant, which means without adequate amounts of Cys you do not make GSH. Below are 2 figures, the top one is the structure of GSH and the bottom one is the synthesis pattern in cells to make GSH. Evidence that Using the Building Blocks of GSH Could Work to Restore GSH in the Brain: The blood-brain barrier is particular about what substances are allowed into the brain from our blood vessels. I have a former Ph.D. graduate student [Diane Palmieri studied the role of protease inhibitors in breast cancer (click here to see one of her papers from my lab group)] who after leaving my lab became one of the leaders in the field of breast cancer metastatic disease to the brain. I recently asked her if the human and mouse blood-brain barriers were comparable (thinking that many Parkinson’s/GSH studies have used rodent models), she told me, “The cellular component are the same but some of the efflux pump proteins are different so I would say it depends on what the experiment is testing.” Next, the bioavailability of GSH and NAC is not great; however, several studies have found that NAC does get to the brain (likely the astrocytes and glial cells are the primary recipients to go on and synthesize GSH). Four of five papers described below generally support the notion that the building blocks of GSH may indeed work to provide some new source of GSH for helping out in the depleted dopamine-producing neurons found in Parkinson’s. •In 2016, Monti and colleagues showed in neuronal cell and in Parkinson’s patients, a positive effect on DAT binding and reduced UPDRS scoring in patients receiving NAC (IV route had a bigger advantage than oral NAC); nonetheless, oral ingestion of NAC had some effect. •Katz et al. in 2015 tested in volunteers with Parkinson’s and gave them oral NAC twice daily for 2 days. At the start and end, they obtained cerebrospinal fluid (CSF) to analyze NAC and GSH levels. NAC, but not GSH levels were increased at the higher NAC amounts. Maybe the short timeframe affected the GSH synthesis detectable in CSF. However, NAC itself is a potent antioxidant. •In a follow-up study, Reyes and co-workers in 2015 treated normal mice with oral NAC. Then using brain sections, they measured neuronal GSH and antioxidant activity. At the higher-levels of NAC, they found GSH was increased with better antioxidant potential. •In 2000, Banaclocha studied the effect of NAC on mitochondria complex I activity in aged mice. Thiols (free SH groups) are crucial for complex I activity; thus, the antioxidative effect of NAC kept these thiol groups reduced and active. The implication here is that maintaining a reduced environment in the CNS with NAC, GSH precursors, or GSH could be a beneficial treatment strategy in aged humans with Parkinson’s. •Coles and colleagues in 2018 studied the effect of oral NAC on GSH and oxidative stress in humans. After 4-weeks of a large daily dose of NAC, they measured a big increase in Cys and the blood antioxidants. By contrast, there was no reduction of oxidative damage and no increase production of GSH in the brain. Use of Whey Proteins to Improve Antioxidant Tissue Levels: Wikipedia describes whey as the liquid remaining after milk has been curdled and strained. It is a byproduct of the manufacture of cheese or casein and has several commercial uses. Whey protein isolates are some of the most abundant sources of the amino acid Cysteine (Cys) [both reduced and oxidized]. Recall from above, Cys is the rate-limiting component for making GSH; thus, it has been postulated that ingestion of a whey protein isolate could increase GSH levels. Below are some examples of whey protein supplements to improve the antioxidant activity in various organs. •In 2011, de Aguilar-Nascimento and associates compared whey-based versus casein-based enteral nutritional supplement as the source of protein in a group of elderly people with ischemic stroke. This study aimed to investigate the effects of whey protein enteral formula on the levels of GSH and inflammatory markers. Interestingly, compared to casein, the whey-based material had significantly more GSH, but it also showed reduced inflammation (assessed by measuring IL-6 levels) compared to the casein-based product. •Kersasioti et al. in 2018 measured the anti-oxidant ability of whey protein isolate in blood and tissues of normal healthy rats. Whey protein isolate significantly increased GSH levels in red blood cells, small intestine, quadriceps muscle, pancreas, and lungs compared to the control, with no significant increase in the brain. However, the whey protein isolate group revealed potent anti-oxidative action in the brain compared to normal controls. One could speculate that the enhanced anti-oxidative state in the brain could be partly due to the huge increased amounts of GSH in circulating red blood cells, which would freely circulate through the brain. •Ignowski and co-workers in 2018 studied the use of a whey protein supplement (Immunocal®) in a mouse model of traumatic brain injury (TBI). They found that the whey protein supplement augmented the natural response to the physical injury to the brain. The whey protein supplement helped in maintaining GSH levels and helped in neuronal regeneration/recovery. And remarkably, the whey protein supplement improved the motor and cognitive deficits that were induced by TBI. Use of Whey Protein Supplements in Neurodegenerative Disorders (Parkinson’s and Alzheimer’s) and in Aging: The use of whey protein products is not a ‘new idea’ for treating various disorders. Here are two older representative papers and one recent study of whey protein supplement in Parkinson’s. And a study on the use of intranasal GSH in Parkinson’s. •In 2002, Butterfield et al reviewed the different mechanisms and nutritional means to reduce oxidative stress in Alzheimer’s. This work is still relevant today since compounds described in this review like NAC, GSH, curcumin, resveratrol, and vitamins C and E and many others are still being investigated in many different disorders, including Alzheimer’s. •In 1989, Bounous and colleagues showed in a mouse model that a whey protein diet enhanced GSH levels in aging mice, which resulted in increased longevity compared to control aged animals. This research implies that the antioxidative effect of Cys-containing products in whey protein supplements had a positive effect on the heart and liver in aging mice. The target organs for this study was the heart and liver GSH levels, and unfortunately, not the brain. What Does all of This Information on GSH, NAC, and Whey Protein Supplements Suggest for Parkinson’s? More than four months ago I started planning, thinking, and reading about this blog post material. Unfortunately, it’s become a little lengthy and more complex than I expected. My original plan was to find a substitute for NAC and that led me to the whey protein isolates. What I wanted to do was to substitute about a week’s worth of NAC by using the whey protein supplement; specifically, 3 weeks on NAC and then 1 week on a whey protein supplement. This is what I believe may be going on with GSH, NAC, and whey protein concentrates in Parkinson’s. For some reason, this reminds me of the statin story for cardiovascular disease. How is a statin related to glutathione? It’s not. However, the primary clinical trials using statins to lower cholesterol revealed an extra benefit that was not expected. Not only did the statins lower cholesterol but they all dramatically reduced inflammation. The overall reduction in inflammation (measured using C-reactive protein, or CRP) was a key point clinically for better health using statins. No doubt that NAC, glutathione, and whey protein supplements are powerful antioxidants, which could reduce the total pro-oxidative threshold we all possess. 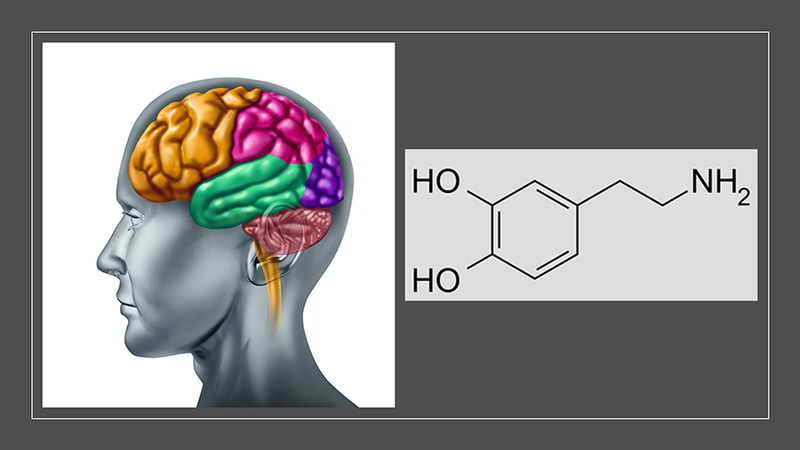 The big mystery that we are left to speculate about is whether or not this potential systemic antioxidant action would be active or available in the brain? Ultimately, the goal here is to help you make your own educated decision about the utility and use of such powerful antioxidant substances in treating Parkinson’s. NOTE #1: The material provided here is for educational and scientific purposes only. Under no circumstance should you consider this blog post as medical advice. Many of the substances described here are clinically available and some are even available over-the-counter; however, they may have serious side effects. Please communicate with your Neurologist or family-based Physician before any attempt to alter a treatment regime. “JourneywithParkinsons.com” cannot be held responsible for any actions taken based on the information provided here. NOTE #2: If you decide to try the whey protein isolate, please remember you are drinking a “protein milkshake” that would likely interfere with the adsorption of Carbidopa/Levodopa. Make sure you take your Carbidopa/Levodopa 20-40 minutes before you drink the whey protein supplement. Banaclocha, M. M. (2000). N-acetylcysteine elicited increase in complex I activity in synaptic mitochondria from aged mice: implications for treatment of Parkinson’s disease. Brain research, 859(1), 173-175. Butterfield, D. A., Castegna, A., Pocernich, C. B., Drake, J., Scapagnini, G., & Calabrese, V. (2002). Nutritional approaches to combat oxidative stress in Alzheimer’s disease. The Journal of nutritional biochemistry, 13(8), 444-461. Choi, I.-Y., Lee, P., Denney, D. R., Spaeth, K., Nast, O., Ptomey, L., . . . Sullivan, D. K. (2014). Dairy intake is associated with brain glutathione concentration in older adults–. The American journal of clinical nutrition, 101(2), 287-293. Coles, L. D., Tuite, P. J., Öz, G., Mishra, U. R., Kartha, R. V., Sullivan, K. M., . . . Terpstra, M. (2018). Repeated‐Dose Oral N‐Acetylcysteine in Parkinson’s Disease: Pharmacokinetics and Effect on Brain Glutathione and Oxidative Stress. The Journal of Clinical Pharmacology, 58(2), 158-167.
de Aguilar-Nascimento, J. E., Silveira, B. R. P., & Dock-Nascimento, D. B. (2011). Early enteral nutrition with whey protein or casein in elderly patients with acute ischemic stroke: a double-blind randomized trial. Nutrition, 27(4), 440-444. Flaim, C., Kob, M., Di Pierro, A. M., Herrmann, M., & Lucchin, L. (2017). Effects of a whey protein supplementation on oxidative stress, body composition and glucose metabolism among overweight people affected by diabetes mellitus or impaired fasting glucose: A pilot study. The Journal of nutritional biochemistry, 50, 95-102. Gold, P. (1989). The influence of dietary whey protein on tissue glutathione and the diseases of aging. Clinical and Investigative Medicine, 12(6), 343-349. Ignowski, E., Winter, A. N., Duval, N., Fleming, H., Wallace, T., Manning, E., . . . Linseman, D. A. (2018). The cysteine-rich whey protein supplement, Immunocal®, preserves brain glutathione and improves cognitive, motor, and histopathological indices of traumatic brain injury in a mouse model of controlled cortical impact. Free radical biology and medicine, 124, 328-341. Katz, M., Won, S. J., Park, Y., Orr, A., Jones, D. P., Swanson, R. A., & Glass, G. A. (2015). Cerebrospinal fluid concentrations of N-acetylcysteine after oral administration in Parkinson’s disease. Parkinsonism & related disorders, 21(5), 500-503. Kerasioti, E., Stagos, D., Tsatsakis, A. M., Spandidos, D. A., Taitzoglou, I., & Kouretas, D. (2018). Effects of sheep/goat whey protein dietary supplementation on the redox status of rats. Molecular medicine reports, 17(4), 5774-5781. Mischley, L. K., Lau, R. C., Shankland, E. G., Wilbur, T. K., & Padowski, J. M. (2017). Phase IIb study of intranasal glutathione in Parkinson’s disease. Journal of Parkinson’s disease, 7(2), 289-299. Monti, D. A., Zabrecky, G., Kremens, D., Liang, T.-W., Wintering, N. A., Cai, J., . . . Bowen, B. (2016). N-acetyl cysteine may support dopamine neurons in Parkinson’s disease: preliminary clinical and cell line data. PloS one, 11(6), e0157602. Riederer, P., Sofic, E., Rausch, W. D., Schmidt, B., Reynolds, G. P., Jellinger, K., & Youdim, M. B. (1989). Transition metals, ferritin, glutathione, and ascorbic acid in parkinsonian brains. Journal of neurochemistry, 52(2), 515-520. Schulz, J. B., Lindenau, J., Seyfried, J., & Dichgans, J. (2000). Glutathione, oxidative stress and neurodegeneration. European Journal of Biochemistry, 267(16), 4904-4911. Tosukhowong, P., Boonla, C., Dissayabutra, T., Kaewwilai, L., Muensri, S., Chotipanich, C., . . . Bhidayasiri, R. (2016). Biochemical and clinical effects of Whey protein supplementation in Parkinson’s disease: A pilot study. Journal of the neurological sciences, 367, 162-170. Firstly, thanks for another great post. Your blog post “Complementary and Alternative Medicine (CAM) and Over-the-Counter Therapies in Parkinson’s” mentions a number of supplements that you take for their (anti-oxidant and) anti-inflammatory properties. Do you think that this recent research result would warrant any change to your list of supplements?